Dean Boyd | Why Are Lubbock Motorcycle Accidents So Dangerous? Why Are Lubbock Motorcycle Accidents So Dangerous? Motorcycle accidents are a common occurrence in the Lubbock, Texas area. The region’s terrain is very popular with motorcyclists, so it is no surprise to see a high number of bikes on the roadways every day. However, a surplus of motorcycles traveling at the same time does come with a high frequency rate of collisions. The percentage of motorcycle accidents taking place has become a major concern for all riders in the Lubbock area. Riding a motorcycle can be a very dangerous act if you haven’t received proper training. Wearing safety gear can help to prevent serious injuries from occurring in a motorcycle wreck. It is smart to wear a protective helmet and place anti-lock brakes on your motorcycle to help protect yourself and others on the road. Also, it is important to wear bright colors at night, because it helps automobile drivers to see you better on the road. Still, motorcycles are a riskier option to drive than cars or trucks. Maintaining control and balance on two wheels is an extremely difficult task. New motorcyclists should complete a basic riding course offered by their local Department of Motor Vehicle (DMV) before considering purchasing a bike. When a motorcycle accident does take place, a biker has a higher risk for serious injury than a driver. In some unfortunate cases, death is the final outcome. This is because motorcycles do not have an enclosed vehicle frame or seat belt to protect riders in an accident. Based on 2014 data gathered by The Department of Transportation and the National Highway Traffic Safety Administration, fatalities from motorcycle accidents occur 27 times more often than deaths from other vehicular accidents. In 2016, 496 operators and riders were killed in accidents, according to the Texas Department of Transportation. 53% of those people were not wearing helmets. Speeding and alcohol use are common causes of wrecks, as well as distracted driving. All riders need to be aware of these facts, so they can be more alert on the road and avoid motorcycle accidents. The most common cause of motorcycle wrecks is when a vehicle is making a left-hand turn. This places motorcycles in a very vulnerable position on the road. Often, a driver fails to see motorcyclists or misjudges the rate of speed the motorcycle is traveling at while making a left-hand turn. These types of collisions account for about 42% of all motorcycle and other vehicle accidents in a given year. Another common cause of fatal motorcycle accidents is head-on collisions between motorcycles and other vehicles. It is important to stay alert when there are large gaps in traffic on major roads. The possibility grows that a vehicle will accelerate through open spaces without you being aware of their sudden movement. A popular motorcycle-riding maneuver called lane splitting often results in a collision with another vehicle on the road. This maneuver refers to motorcyclists riding between two lanes due to heavy traffic on busy highways. Often, cars and other vehicles are moving too slowly or making sudden stops, which causes motorcyclists to weave through traffic. The risk of getting clipped by an unsuspecting driver increases greatly over time if you perform this maneuver. Road hazards are very dangerous to motorcyclists including potholes, icy road conditions, uneven highway lanes, and unseen debris. It is important for bikers to account for all vehicles and objects on the road, even the ones that they cannot see. What happens when a lubbock motorcyclist is injured? Injuries sustained in motorcycle accidents are often significant, so it is crucial to get immediate medical attention as soon as possible. The injured party should also contact their insurance company immediately following the accident to get coverage information. 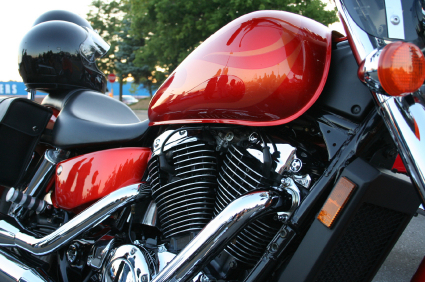 Most motorcycle insurance policies have different provisions that aren’t seen in standard automobile policies. Take the time to review your policy carefully, and speak with an insurance representative to get further clarification on certain coverage information questions. In many situations, hiring a motorcycle accident lawyer in Lubbock, Texas is the best way to get the most compensation for your pain and injuries. If you have been injured by someone else or are unable to file a claim alone, an attorney can save you time and prevent undue stress. Contact Attorney Dean Boyd for more information on how we can help you after a motorcycle accident. Call us at (806) 242-3333 or Contact Us by email to learn more about our services. You can also visit our office at 4423 SW 45th Ave in Amarillo, Texas or 5012 50th St #103 in Lubbock, Texas.